This tray for the Burger Brewing Company was manufactured in 1933 and is a 15.25″ x 12.5″ oval. 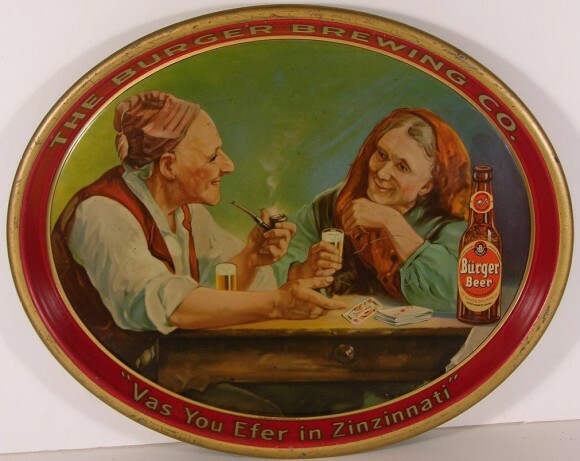 The main image of the tray depicts an older man and woman flirting over Burger beer and cards. The Rim of this tray reads “The Burger Brewing Co.” and “Vas you Efer in Zinzinnati” ( best guess is that it means: Were you ever in Cincinnati? ).